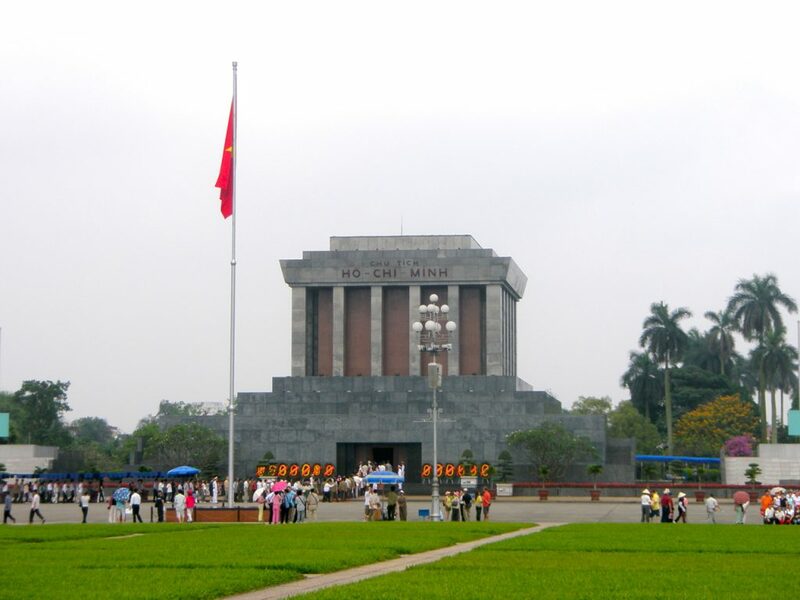 Hanoi is the capital city of Vietnam, and is the nation’s second-largest city (Ho Chi Minh City). Upon arrival in Hanoi, the first thing you will notice is the motorbikes. They are EVERYWHERE- outnumbering cars 10,000:1 (or so it seems...). In a crowded city, this is just a part of life in Vietnam- entire families traveling here and there on a single motorbike. Traffic laws? Yeah, right... You take your life in your hands when you step off the curb and out into traffic in Hanoi- be aware. A cacophony of sights, smells, and sounds, Hanoi can be a bit of a jolt after the peace and pace of a trip through other parts of SE Asia. This city MOVES- 3 million people, constantly buzzing here and there- selling, buying, bargaining- it can be overwhelming at first. Don’t let this first impression turn you off to the city- Hanoi truly is an amazing place, with plenty to see and do. After you’ve had your fill of the city, head out to the stunningly beautiful Halong Bay. A UNESCO World Heritage site, Halong Bay is incredible- immense limestone formations jutting out of the sea, emerald green waters contrasting against the rocks, and several towns spotted throughout. Halong Bay- a perfect balance to the craziness that is Hanoi. Hanoi is serviced by the Noi Bai International Airport, with numerous domestic and international flights arriving and departing daily. Depending on which direction you are traveling, you can also reach the city via hop-on/hop-off bus, and there is train service between Hanoi and Ho Chi Minh City. 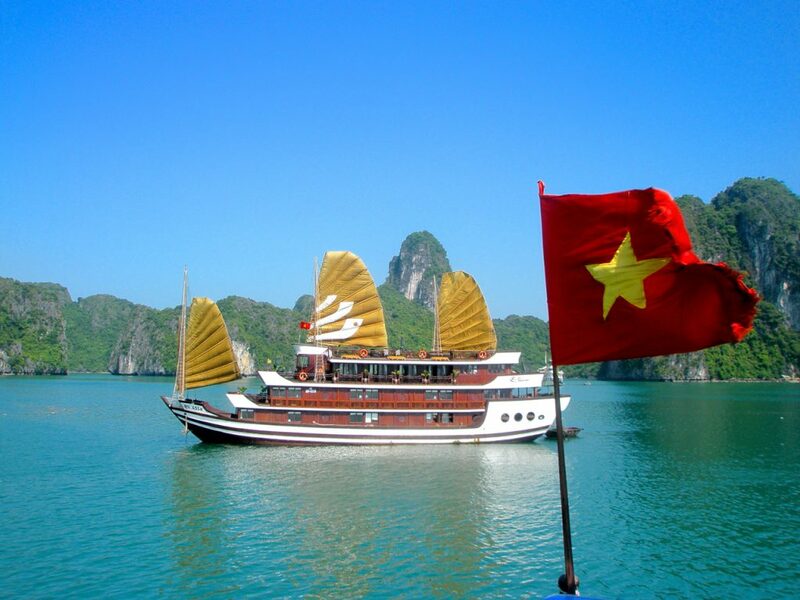 Trips to Halong Bay are typically organized in Hanoi, with all transportation, accommodation, etc. included. Shop around, find a trip that fits your budget, and negotiate for a fair price. Walk around the Old Quarter- many budget guesthouses and hotels are in this area, which makes it ideal for a day’s worth of exploration. It is packed full of little shops, cafes, and restaurants, and there are numerous eye-opening markets to wander through. The weekend Night Market is a must. Visit Ho Chi Minh- if you’re into getting acquainted with embalmed Communist dictators, the Ho Chi Minh Mausoleum/Museum is for you. Open from 9am-12pm. No shorts, no skirts, no photos. But yes, there are long lines! Hang out by the lake- Hoan Kiem Lake is next to the Old Quarter, and is a great spot to wander around, whiling away a few afternoon hours. Check in at the Hanoi Hilton- Known locally as the Hao Lo Prison, this famous POW site was used to house primarily American prisoners during the Vietnam War. A historic site, but not an uplifting experience. Get some culture- Hanoi has several museums to explore in order to get a little taste of Vietnamese culture. The Museum of Vietnamese History and the Museum of Fine Arts are good places to start. Hang out in Halong Bay- A MUST DO when in Hanoi, Halong Bay is awesome. A great 2/3/4 day trip away from the city, depending on your time constraints and budget. Organize your trip in Hanoi to avoid getting stuck out in the islands. Stay in Cat Ba Town- One of the largest islands in Halang Bay, Cat Ba Island is a prominent stop on any trip through Halong Bay. 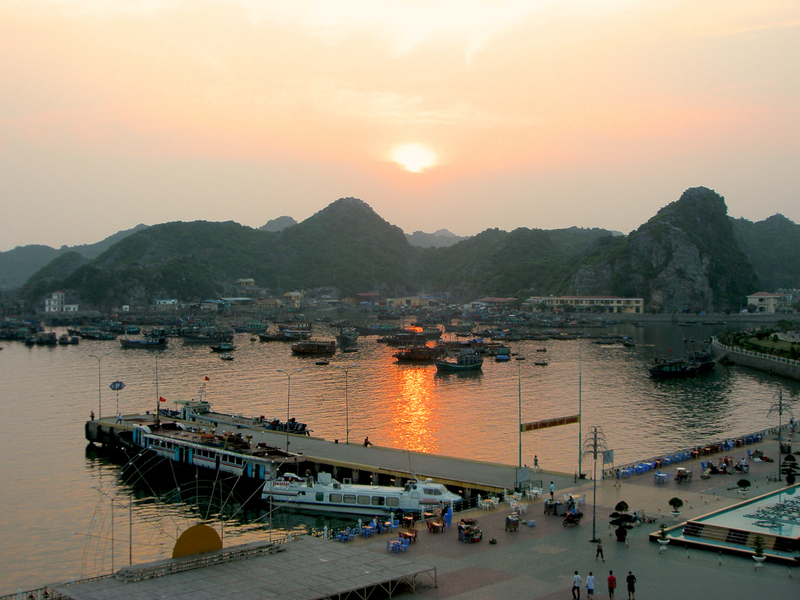 Cat Ba Town is set right along the sea against remarkable karst formations- a beautiful place to spend a day or two. Pay attention to the taxis in Hanoi- some of the drivers like to try to take the long way around, assuming you have no idea where you are. Grab a cheap city map and make sure they know that you’re keeping track of where you’re going. Eat local food- the street food in Hanoi is fantastic, especially at the night markets. Save some money by eating on the cheap. As mentioned above- it is easier to book your entire trip to Halong Bay while you are in Hanoi rather than trying to wing it and figure it out when you get there. If you don’t speak Vietnamese, the language barrier will make it virtually impossible to communicate what you want to do and where you want to go. Watch the traffic- there are no traffic laws in Hanoi, and just crossing the street is an adventure. Pay attention, lest you get run over by an angry motorbiker. If you go to Monkey Beach during your trip to Halong Bay, DON’T APPROACH THE MONKEYS. They will most likely approach you, but only to see of you have anything they can eat/steal. Don’t feed them, and keep your hands on any loose items.